As a San Francisco Giants fan for life, I believe that Giants fans have a dissociated view of Barry Bonds lack of inclusion into the Hall of Fame. He juiced and he lied, repeatedly. And, with all the advantages no other player could brag about. The lineage, the genetics. 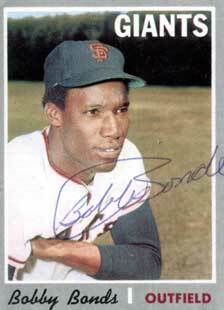 SF Giant Bobby Bonds his father! 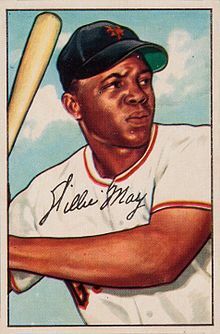 SF Giant Willie Mays, his godfather! Reggie Jackson a distant cousin. What any of us wouldn't give for just a few days with these gods of the diamond? A lifetime of tutelage from the master of the sport in your formative years, plus all the connections to other players and top level coaches. What more can a player want for? What possible need would not be filled? Baseball is a mind-field. The bus rides, planes, hotels, the waiting, the long long waits with ages to think and ponder. The ego must devolve into that big green monster. "But he spent as much time out on the field, chasing fly balls with his father and godfather, the legendary Willie Mays." Bonds should have taken the four to five more years to reach 762, instead of crossing the finish line in front of natural players. What he accomplished, the goals he reached are still amazing! But he hamstrung other competitors by putting jet fuel in an otherwise larger tank. The scales of justice were truly unbalanced. Barry may be included in the HOF when he is around 70. A fitting punishment to watch others reach the finish line while he watches, benched. The scales returning to balance.